It's easy to install. Pop one file into your plugins folder and you're done. It's easy to learn. Chuck (the script's author) has put together a huge pile of fantastic instructional PDFs and videos on his website. The in-product help is also comprehensive and well-placed. It's easy to use. Everything's right there in the Plugins menu, so you don't have to memorize and keep track of a bunch of little tool icons. The input method for telling the script where to put gables and sheds couldn't be simpler. 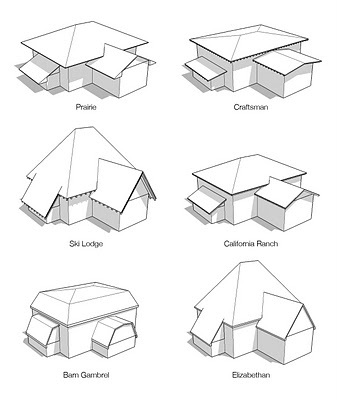 Selecting just a face produces a hip roof. Select an edge to tell the script where to draw a gable. Select two edges to create gables on both ends of the roof. Selecting three edges produces a shed. Once I'd wrapped my head around what I was doing, this roof took 3 seconds to generate. 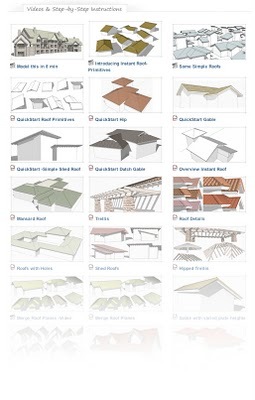 Instant Roof includes a number of roof styles, but they're all just preset combinations of parameters that you can fiddle with to produce almost anything you need. 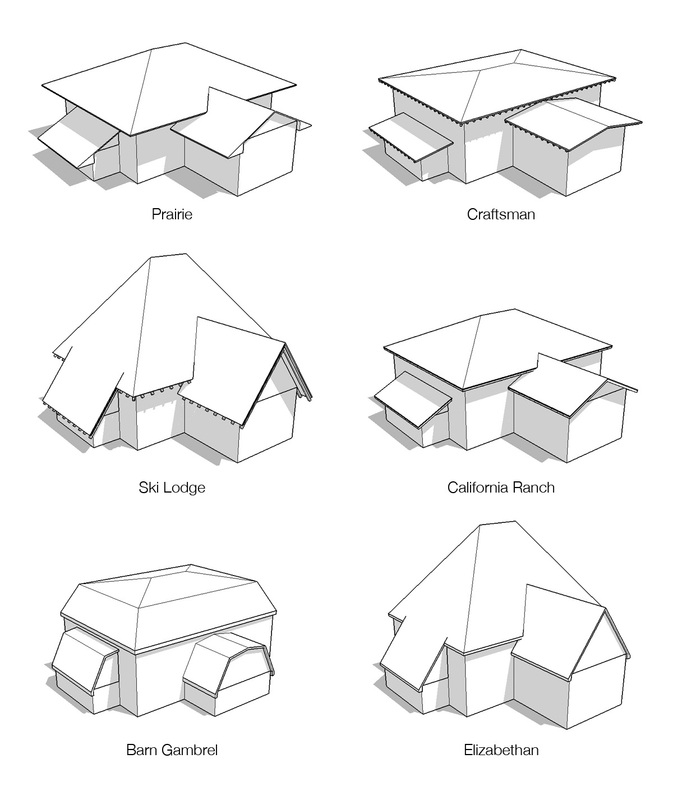 Slopes, eaves, fascia, rafters – they'e all infinitely adjustable. The script comes preloaded with a few parameter presets, but you can create and save your own. And if that's not enough, Instant Roof can also create a few different roof details: mission tile, shingles, standing seam and sheet metal. Mission tile and metal standing seam are two of the roof details you can apply with Instant Roof. Instant Roof comes in two flavors: free and Pro. The latter gives you the ability to choose from a much larger number of roof slopes; that's critical if you're using the script to do serious work. At US$39, it's a bargain. I can only imagine what impact Instant Roof will have on urban designers, art directors, set designers, concept artists and anyone else who needs to whip up convincing built form, quickly. Visit Chuck's website for videos and printable help resources galore. Very cool plugin, however I found the Instant road plugin even more fun. I'm trying to download the free version, but its not working. Maybe its because I don't use Google SketchUp Pro. Maybe I have the wrong version. Any suggestions for me? peace. Jeremy, not sure what happened to your download, I just downloaded the script, installed it and in less than 5 minutes, I had a roof. I use SU7 free. Try again just draw a simple rectangle then select the top face, go to plugins menu click instant roof, pick a style, and OK the default settings work fine for now. like Jeremy, I havn't been able to get the free version to even download at all. I would like to try it before I buy it, though it looks pretty cool. Hi. I installed the free version.For a while it worked fine. But now just few seconds after I create a roof sketch up bug splats??? Any suggestions?